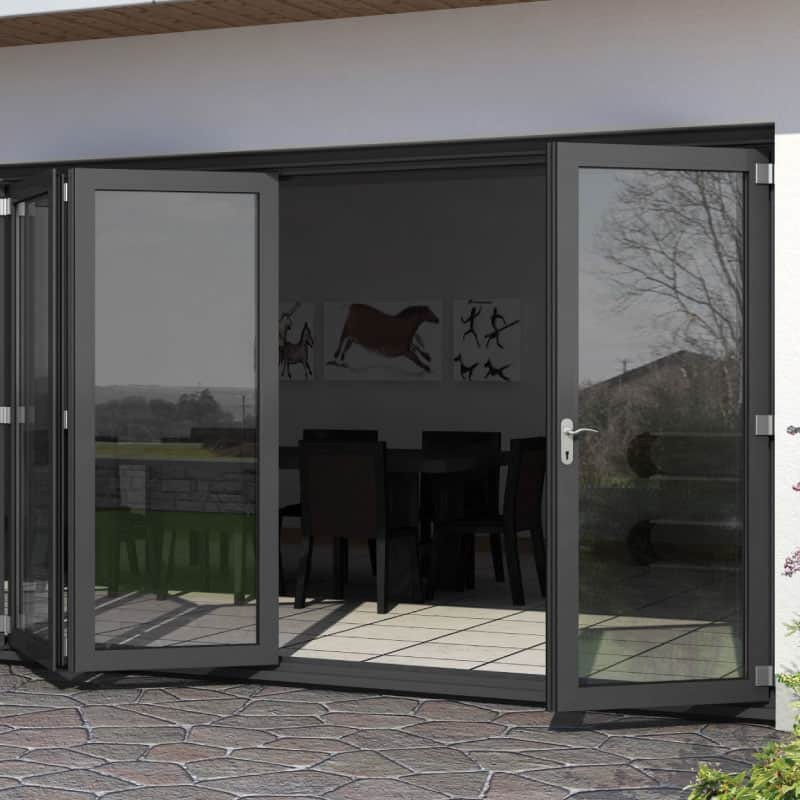 The Bi-Fold Door folds back completely to optimise the use of space in a room while allowing traffic to flow easily between garden and living areas even with restricted space. Available in a range of RAL Colours and also mahogany, golden oak, dark oak, natural oak, teak, raw teak, teak softwood, chestnut, oregon, natural oregon, yellow oregon, oregon pine, knotty pine, natural maple and cinnamon. The Bi Fold door system has a 24mm polyamide thermal break as standard. With all maximum U-values at any point and combined overall U-values exceeding and complying with current building control regulations. Can accommodate 28 or 44mm glazing. Can be open-in or open-out. Our Bi Fold doors are manufactured from aluminium.